Robert’s Grove is a beautifully appointed Hacienda-style Belize beach resort nestled on 22 acres of the finest white sand beach in Placencia Belize. Its ideal location allows guests to be surrounded by Belize’s best attractions- the Barrier Reef, Tropical Rainforest & Mayan Ruins. This unique position makes it easy for guests and especially families to choose from a vast array of Belize’s most sought after activities, including diving tours, fly fishing trips, and many more exciting adventures. 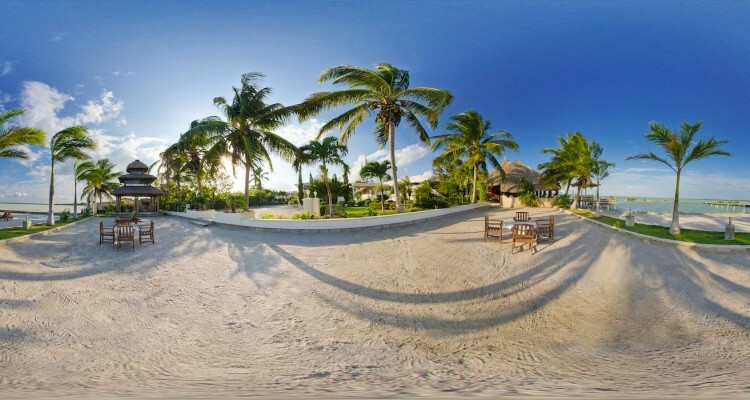 This Belize beach resort also makes the perfect setting for a memorable Belize wedding or for a romantic honeymoon vacation. Robert’s Grove is dedicated to making sure that your visit to Placencia Belize is fun and memorable. Whether you’re looking to explore the unique natural attractions that make Belize so special or you just want to relax on the beach and be pampered, we guarantee satisfaction at our Belize beach resort. Robert’s Grove Beach Resort is situated on the Placencia Peninsula, an 18-mile stretch of paradise that just out from the mainland in southern Belize, where the best beaches in Belize are located. We are 100 miles south of Belize City and the International Airport; five miles from Placencia Village, and a half-mile from the village of Seine Bight. We are two miles from the Placencia airstrip.